In this time of uncertainty and rapid changes, it is crucial to have clear visions about how digitalization will impact in our organizations, as doors of new amazing opportunities are constantly opening at different levels and varied sectors. 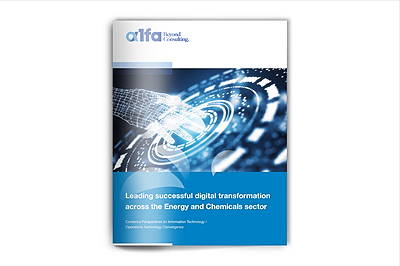 For this reason, we would like to introduce the white paper “Leading successful digital transformation, across the Energy and Chemicals sectors”. This paper was done in collaboration with top professionals coming from different consulting firms, all of them members of Cordence Worldwide, and it tackles the hot opportunity known as “the IT/OT convergence” from different perspectives.